Your blood alcohol concentration, or BAC, is the amount of alcohol in your blood. For example, if your BAC is .05%, that means you have 50 milligrams of alcohol in 100 millitres of blood. Each drink you have within a certain timeframe increases your BAC. In Canada, the Criminal Code BAC limit is .08%. 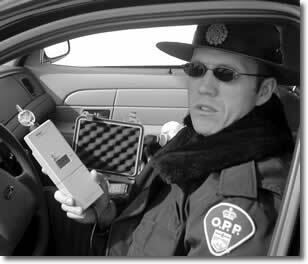 This is the level at which Criminal Code impaired driving charges can be laid. It is important to realize, though, that even small amounts of alcohol can impair driving ability. For the vast majority of people, drinking socially – having a glass of wine or two with dinner or a beer or two after work – will not put them above the .05% level. The safest way, always, is to separate drinking from driving entirely. If you are going to be drinking more than that, don’t risk a licence suspension or worse, a crash — plan alternate transportation home. MADD Canada offers a BAC estimates chart to provide a general idea of how many drinks it takes to get to the .05% and .08% BAC levels. For more information, and for BAC estimates for men and women, please see: The ABC’s of BACs (PDF).